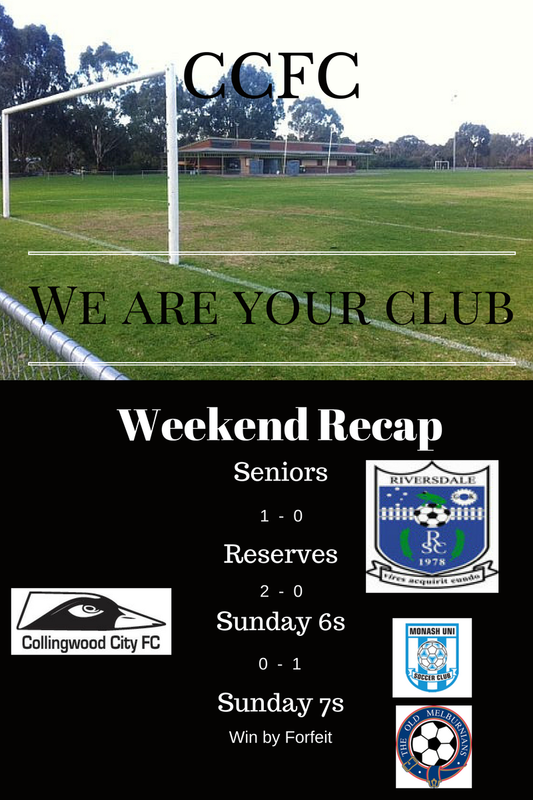 It was a short trip down the road to face Riversdale FC on a great final weekend for the season. The Reserves took a first half lead of 2-0 through a brace from Michael Sdregas that held through the rest of the game, ensuring Mark Hanly would see out his sixth and final season with the club would be with a win in his final match. Thank you for your time at CCFC, we wish you all the best in your move home to Ireland. The Seniors had a scare early on with a penalty being given to the hosts within the opening minutes. Former Cityzen Adam Kweifio-Okai would step up to take it, but our keeper Dave Herman was up to the challenge, stopping it with ease. The first half was scoreless but the second half would provide the most drama. Another PK and another fine save by Herman but your Cityzens would once again be down to nine players. With about minutes left Mike Maddocks would give us a 1-0 lead and some last ditch defending kept all three points against Riversdale. We now have a strange 6-way tie for joint goal scorer of the regular season, with Mike Maddocks getting the edge for his goals during the FFA Cup run. Our first season with a Mens Metro Division 6 ended sadly with a 0-1 scoreline. We were happy to add the squad this year and thank the players who stepped up to help out our depleted Reserves and Metro 7. Player coach Rob Gillies has announced his retirement at the end of this year along with players Paul Evans and Peter Hands. We are sad to see them go and thank the trio for their work over this season. Perhaps the saddest of the day was our Metro 7 side who were informed late last night they would not have a match as Old Melbournians had to forfeit, something that has been a story for their 2017 season.